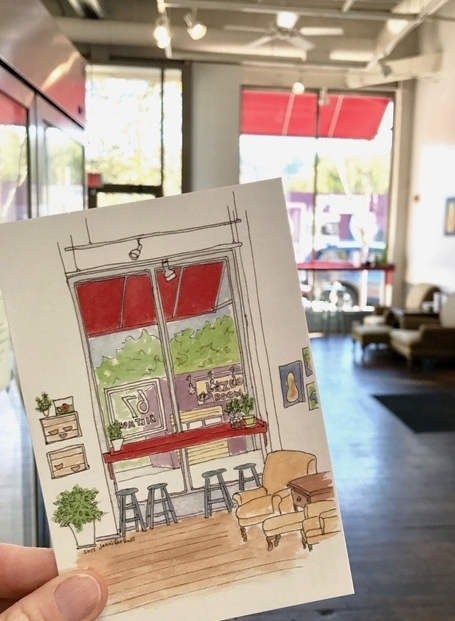 I am currently working on a series of pen and watercolor illustrations of Asheville places. Seven of my illustrations have been made into postcards, and I'm working on a set of folded cards. More will be coming soon! 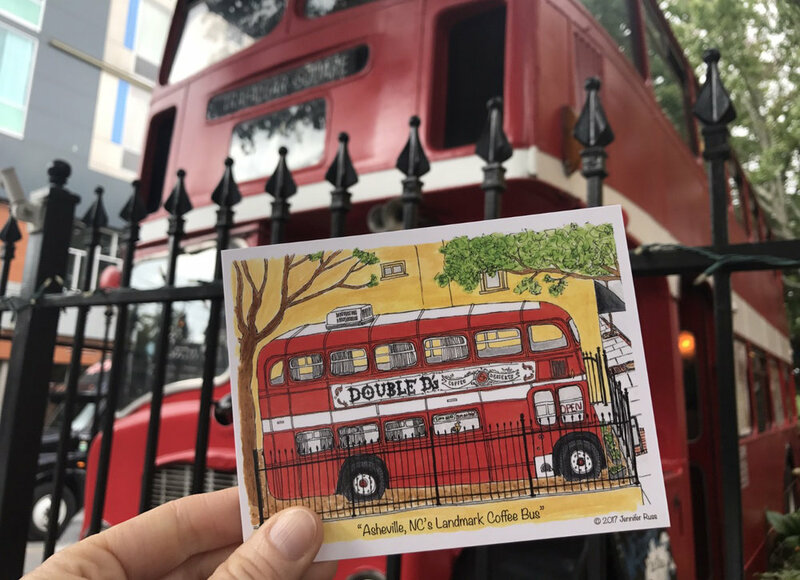 This postcard is currently available at Double D's Coffee and Desserts in downtown Asheville, and from me directly! The L.O.F.T. 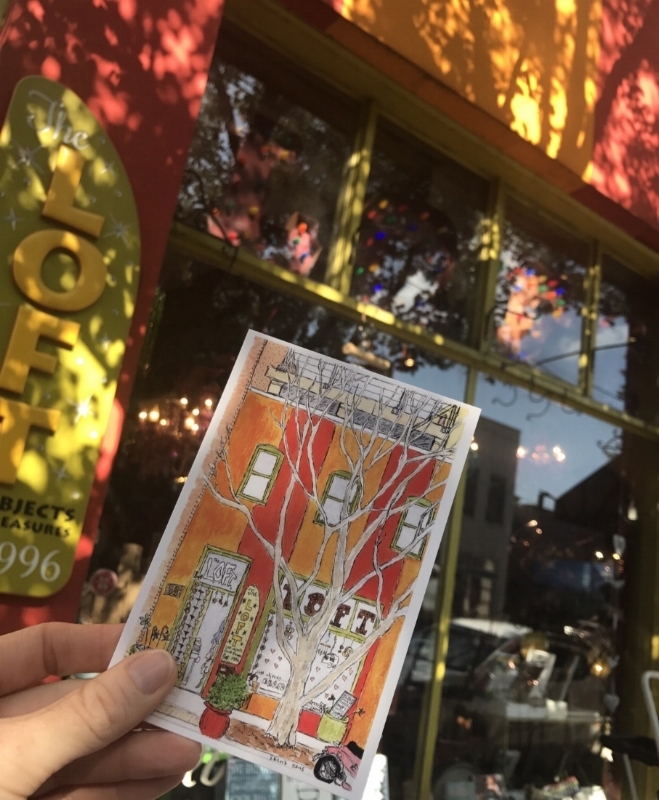 of Asheville postcard is available at The L.O.F.T., also located in downtown Asheville, on their website: www.loftofasheville.com, and from me. 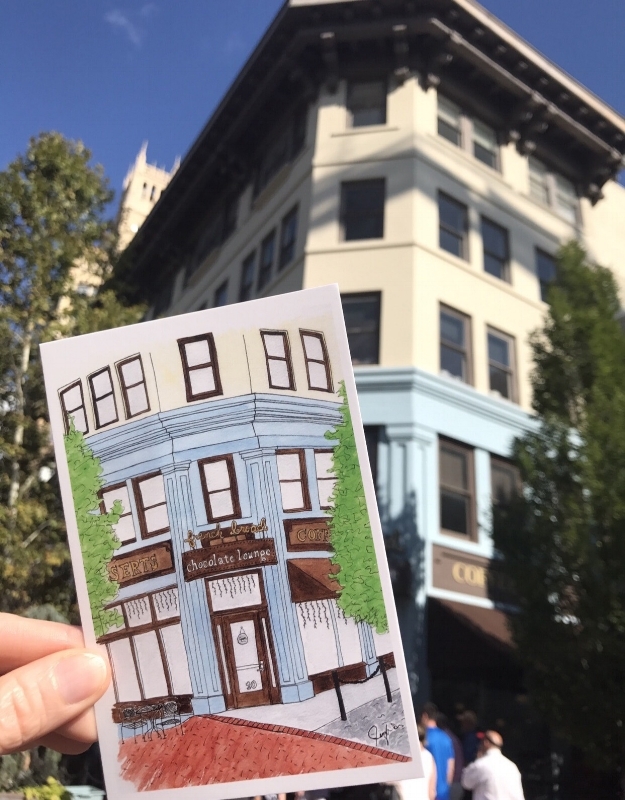 My postcard of Asheville's Fine Arts Theatre is now available at Mtn Merch located in Biltmore Village! 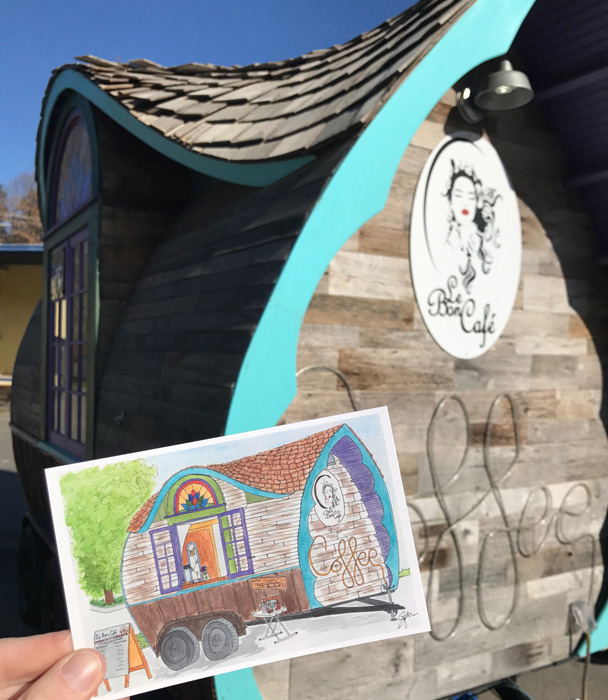 Le Bon Café is now carrying my postcard of their adorable tiny coffee house! The French Broad Chocolate Lounge postcard is currently only available from me. 67 Biltmore postcard currently available from me, and will soon be coming to 67 Biltmore! Be on the look out for it the next time you stop in! Salsas postcards currently only available from me.